Balzer + Bray, 9780062103734, 464pp. 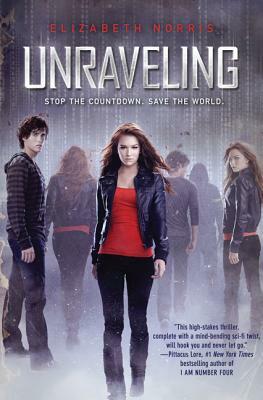 Like The Forest of Hands and Teeth, Elizabeth Norris’s Unraveling blends realistic coming-of-age issues with a gripping science fiction world. Unraveling’s heroine, sixteen-year-old Janelle Tenner, is used to having a lot of responsibility. She balances working as a lifeguard in San Diego with an intense academic schedule. Janelle’s mother is bipolar, and her dad is a workaholic FBI agent, which means Janelle also has to look out for her younger brother, Jared. Elizabeth Norris briefly taught high school English and history before trading the San Diego beaches and sunshine for Manhattan's chilly winters. She harbors dangerous addictions to guacamole, red velvet cupcakes, sushi, and Argo Tea, fortunately not all together. Unraveling is her first novel.